I need help getting some CRT settings to work with SweetFX 2.0. Or, I'd like to use Reshade with SweetFX 1.4. The game in question is 1001 Spikes (which is OpenGL, not Direct X). I've tried, but I haven't been able to get the same effect in ReShade + SweetFX 2.0. Unfortunately, not being able to define custom X / Y resolutions are what's causing the headaches. Depending on the games and how they render, you may wish to have wildly different values. 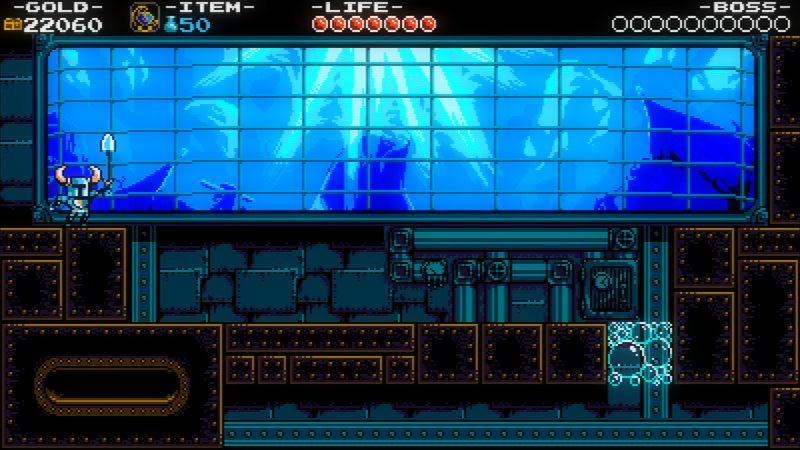 For instance, Shovel Knight is 'pixel perfect', but is actually rendered in a high-resolution. So, I set the X resolution much higher to ensure smooth scrolling, but Y is low to get intended effect. #define USE_SMAA_ANTIALIASING 0 //[0 or 1] SMAA Anti-aliasing : Smoothens jagged lines using the SMAA technique. #define USE_LUMASHARPEN 0 //[0 or 1] LumaSharpen : Also sharpens the antialiased edges which makes them less smooth - I'm working on fixing that. #define USE_VIBRANCE 0 //[0 or 1] Vibrance : Intelligently saturates (or desaturates if you use negative values) the pixels depending on their original saturation. #define USE_CURVES 0 //[0 or 1] Curves : Contrast adjustments using S-curves. #define GaussThreshold 0.50 //[0.00 to 1.00] [DX10/11 only] Threshold for what is a bright light (that causes bloom) and what isn't. You can adjust the resolution settings on a game by game basis, which is how I used it for Castle in the Darkness. "H:\1001 Spikes\SweetFX/Shaders/Main.h(28): error: Redefining defined variable "pixel" from file H:\1001 Spikes\Sweet.fx, line 175." Any suggestions on how to get things working? Last Edit: 4 years 2 months ago by PixelGuy. I just discovered these shaders by Timothy Lottes. They look great, and I'd be interested in trying them out if I knew how to implement them into the ReShade public beta. Apologies if these are stupid questions! I'm not a very technical end-user. I looked around for information, but didn't see much that I could actually use given my limited knowledge. I appreciate any assistance! They look great, and I'd be interested in trying them out if I knew how to implement them into the ReShade public beta. Prefix the global variables with a "static const " (like "static const float hardScan=-8."). This is no requirement, but it will give you a performance boost. The "iResolution.x" and "iResolution.y" macros in Shadertoy are called "BUFFER_WIDTH" and "BUFFER_HEIGHT" in ReShade (because InjectSMAA used to call them that way). The "fract" intrinsic function is called "frac" ReShade (just rename it). There are no hardcoded input/output variables (like gl_FragColor), you need to add them as "in"/"out" function parameters yourself. ReShade uses a technique based approach to handle multiple shaders instead of a single "main" entry shader. If your run into issues, just report back, somebody or me are happy to help out! // Emulated input resolution. Optimize for resize. // Entry. Note how I replaced "gl_FragCoord" and "gl_FragColor" with the input and output parameters "fragcoord" and "color"
// The following creates a fullscreen triangle to render on. Ignore it for now, just note that it's required. // This tells ReShade how to use your shader. A "technique" is a collection of passes, which are executed sequentially. A "pass" is a render step, meaning a combination of render states which are bound after which the shaders defined in here are executed. Thank you so much crosire! But, this unfortunately is just WAY over my head. I really appreciate you taking the time, however. I think my best course of action right now is to contact the SweetFX guys and ask them if they can re-implement separate X and Y resolutions. That second link is basically the PixelartCRT shader in SweetFX, if you wanna use it in your games it's already there. Also, if you want to learn how to port shaders from GLSL to HLSL compairing the two would probably give you a pretty good idea of what needs to be changed. Ioxa, unfortunately the PixelartCRT shader produces awful looking results. 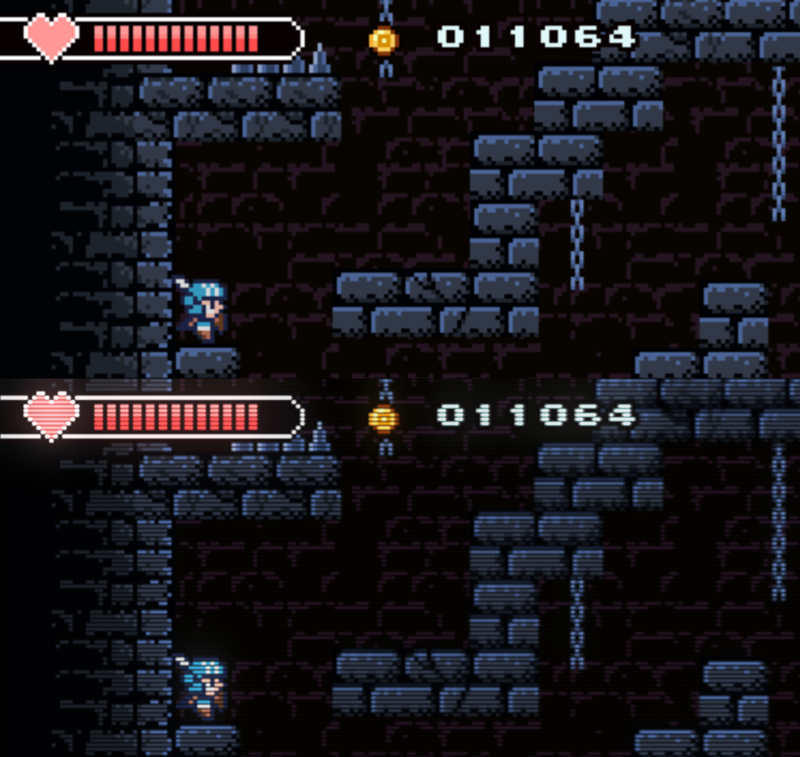 If it's helpful, I can show you some comparison shots using a DirectX9-compatible game (like Shovel Knight). Otherwise, would you have any idea on how to tweak things so it's equivalent to v1.4? I was just pointing out that the PixelartCRT shader is one of the two shaders you were asking about being ported to ReShade so if you wanted to try it it was already there. I thought it looked pretty good, a little dark though. As for the AdvancedCRT shader, the one in the SweetFX 2.0 preview looks the same as the one in 1.4, the settings are all the same so you should be able to plug in the values you were using. But those settings you posted include the gaussian shader which isn't included in 2.0. You could try using the bloom shader in SweetFX instead, might get it pretty close. If that doesn't work I attempted to port the gaussian shaders to ReShade, but I couldn't get it quite right. Here it is if you want to try it SweetFX w/ gauss. You'll have to use it with ReShade 0.14 SweetFX bundle. Use that file instead of the Sweet.fx that comes with the bundle, just delete the 2 off the end. The settings for the gaussian stuff are in the Sweet.fx file at the very top. They won't match the settings options you posted so you'll have to mess with it to see what looks best for you. I'm confused - the problem I originally outlined was that the AdvancedCRT shader has completely different settings for resolution. The ability to customize separate resolutions is important, especially for 'retro' indie games, as they'll often use their own methods of scaling and rendering. That said, thank you so much! You've been a tremendous help and I will definitely fool around with this and see how things go. Thats odd, the version of 1.4 that I have has the same settings as 2.0. You may be using something that someone modified. If you can, upload your AdvancedCRT.h file from the shaders folder and I'll look to see if anything is different. Or if you can't upload it just copy and paste it here. Here you go! Full text of AdvancedCRT.h below. However, I modified it a bit to achieve the look I was going for. // Comment the next line to disable interpolation in linear gamma (and gain speed). // The size of one texel, in texture-coordinates. // Calculate the influence of a scanline on the current pixel. // pixel to the scanline in question. // scanline than for a wider beam. float calcdistance = distance / 0.3; // Optimization  ? // edges of the texels of the underlying texture. // currently rendering, which pixel are we currently rendering? // Snap to the center of the underlying texel. // Prevent division by zero. // using the Lanczos coefficients above. // Output pixels are alternately tinted green and magenta. // Convert the image gamma for display on our output device. Based on a quick google search I think the two are equivalent but I could be wrong. Anyway, try it out and see if it looks right. It did the trick! Now I just have to tweak colors and so forth. It looks and runs great! Cool, glad that worked for you! Looks like something changed in the newer release of SweetFX. This one worked with SweetFX preview 7 and I don't think much has changed since then, but try it out and let me know if it works. Also let me know if it looks right, I'm not familiar with how the shader should look, I just put PixelGuy's settings in there and made sure there weren't any errors. I just downloaded the file and tried it with the newest version of ReShade with SweetFX preview 8 and it worked. Maybe try deleting all the ReShade related files and starting over from scratch just in case something is conflicting somewhere. If you still get an error rename the log file that ReShade creates to .tracelog and run it again. Post the contents of the tracelog on pastebin and post a link to it here. I don't really know what to look for in the tracelog but I'll give it a shot, or maybe someone smarter will come along and solve the problem. It seems that did the trick as I erased everthing and started back from scratch which I had thought I had done already. Another new thing I did was I inserted the new files you linked before I ran the Reshade Setup exe. on the game, as before I had already ran the Reshade Setup exe. and just swapped out the two files after the Setup exe. was already run. Thanks so much for all your help! Can somebody port better crt shaders that does not effect performance that much and looks better? Gedosato and PCSX2 includes good shaders for making games looks in old good times or like in movies, i think they are much better than sweetfx shaders, if only someone could adapt them to Reshade (i tried, got too many errors and i got very little time to deal with it, so i dropped it). Also there are good scaling shaders that comes with SVN dosbox, SAI, EAGLE and so on, can anyone port them and attach to sweet fx as well? And there is one thing that i really miss in any shader pack, there is no single shader, that will allow to filter entire screen, to interpolate any hard pixels like bilinear filtering does. I was thinking that somehow SMAA and FXAA can be hacked to detect huge square pixels and smooth them like texture interpolations does. Recently i've been messing with Shanty and tried all the CRT filters and results was still bad, i really wish to interpolate whole screen!